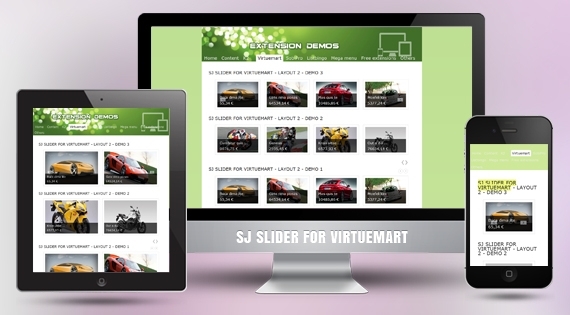 SJ VM Slider is a great module for the VirtueMart Component. This module supports you to highlight some specific product which are important for your service. Using effects of JQuery will help your website look very nice. SJ VM Slider supports for VirtueMart Component. The module allows you to slide products with nice themes and effects. The module helps you show the module at any position in your Joomla site. Also, we wish that you will not spend a long time to integrate the module for your site, therefore we support a lot of parameters in the module, you can easy to change the color of title, description, etc. With more features, easy to configure, we hope that you will be happy with our module.